The Creek Protection Project consisted of several phases of work including increasing the hydraulic capacity of the creek. 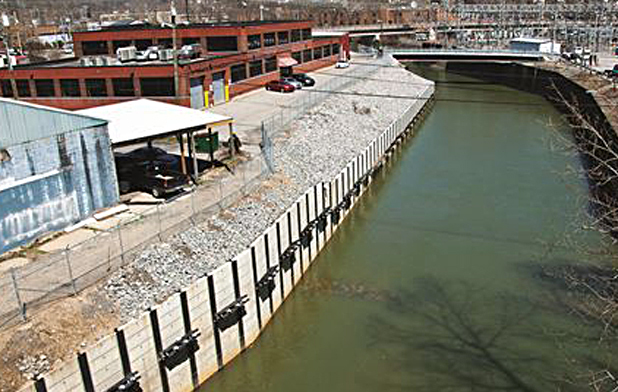 Coastal installed permanent rock anchors within a post and panel floodwall positioned in the creek. In order to resist the design load, an additional bar tendon rock anchor was installed between the existing multi-strand rock anchors. This bar tendon rock anchor has capacity greater than or equal to the capacity of the two (2) existing multi-strand rock anchors and will resist the design load if the existing anchors fail. Anchor construction commenced with a detailed review and understanding of the anchor construction specification and project drawings. Dimensions and properties of permanent materials including all-thread-bar, plates and grout that are common for bar anchors were determined. Additionally, for rock bonded anchors, the minimum embedment into rock, referred to as the bond length, was also required. Bar anchors typically consist of three main components: the bond length, the un-bonded length (if so designed) and the anchorage head. The bonded section of the anchor is developed in competent rock or soil and the load is therefore transferred into the underlying formation. 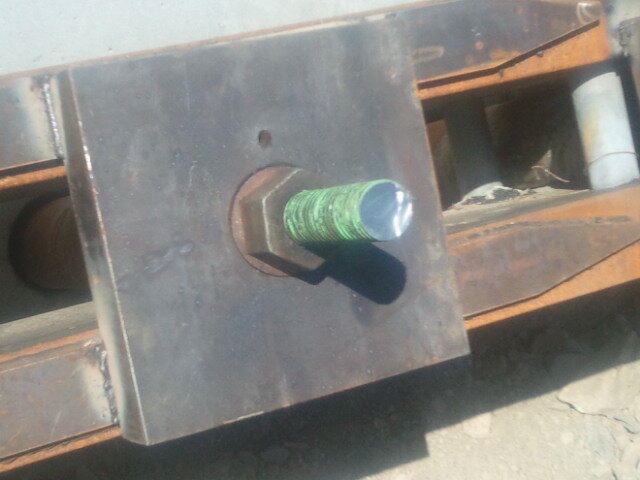 Solid bar anchors are more often used in soils that are not as likely to collapse, and in rock. Bonded bar anchors maximize the potential benefit of the under laying formation characteristics. 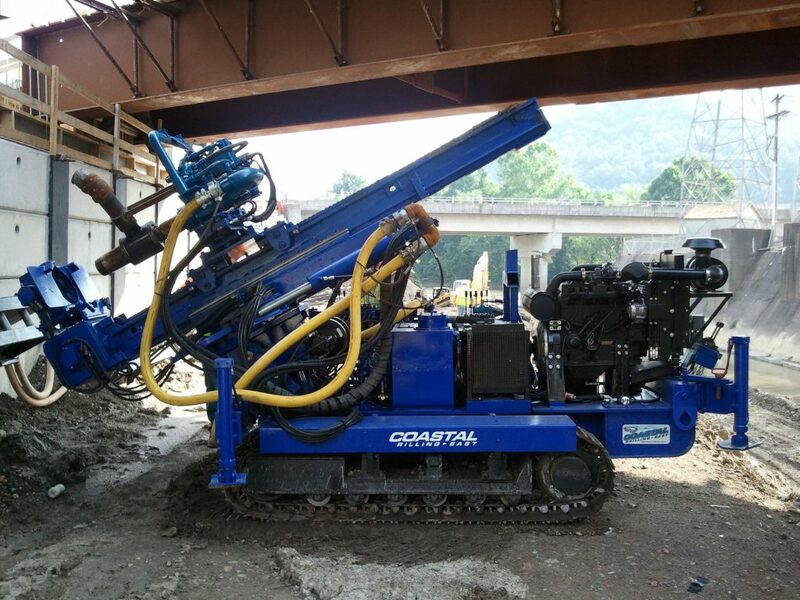 The design engineer reviews all available geotechnical information including core borings and unconfined compressive strength of the formation in developing the anchor design calculation. These design calculations provide the theoretical minimum bond length. 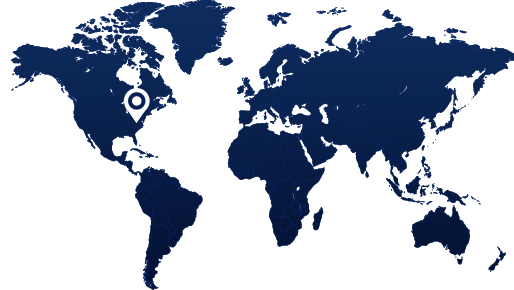 Once mobilization to site occurs, the theoretical design parameters are validated in a pre-production testing program prior to commencing production. For this project, the design engineers were faced with complex geological conditions, high structural loading and, as always, were looking for the best economical value in their approach to the work. 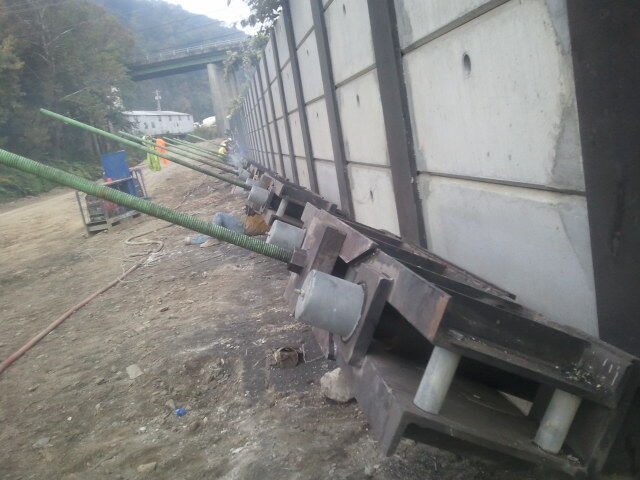 Rock anchors were selected to maximize the benefits of the under laying formation to accept the loading conditions. 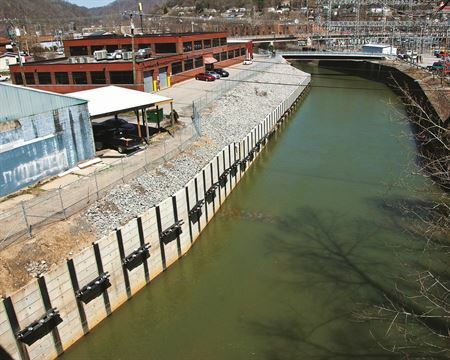 Rock anchors provided the best value on this project because the designers were able to calculate the diameter, length of the bond zone and the specifics of the materials that made up the anchor to formulate the precise performance necessary to achieve the design criteria. The subsequent project design called for the installation of (67) 1.75” Grade 150 Epoxy coated bar anchors to handle tensile loads of 113 kips. 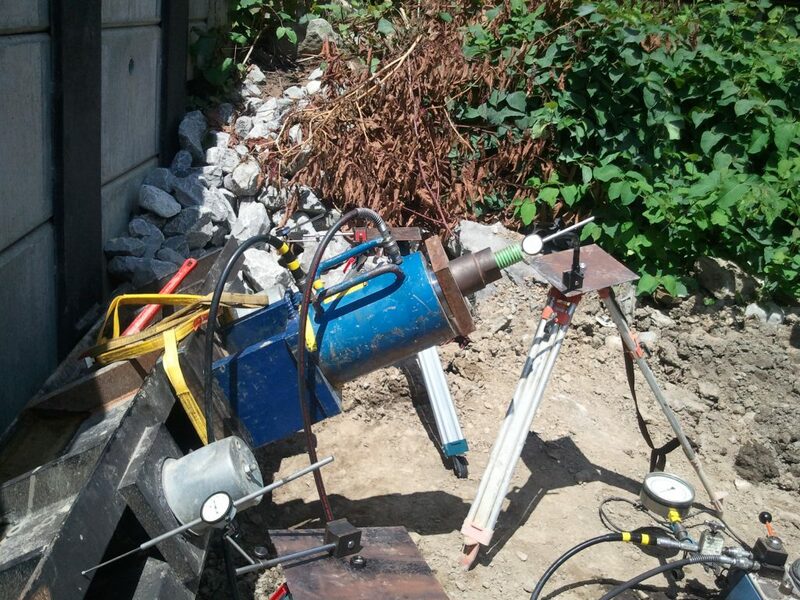 The rock anchor boreholes were drilled utilizing duplex and rotary percussion methods. They were then water tested and upon satisfactory results, the pre-assembled tendons were installed. 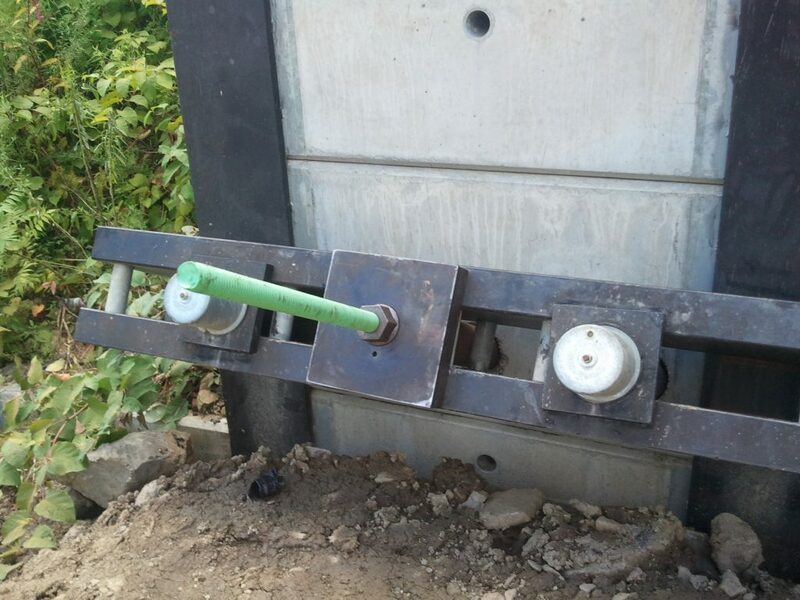 The anchors were then grouted and upon set to a minimum strength, they were locked off and proof tested to confirm design and installation. 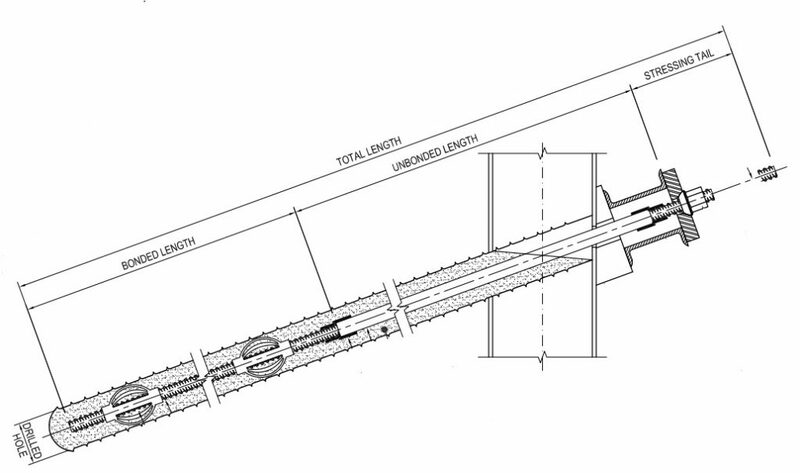 Application specific designs such as these ensure the proper foundation element is developed to maximize the benefits and contribution of the actual subsurface characteristics.